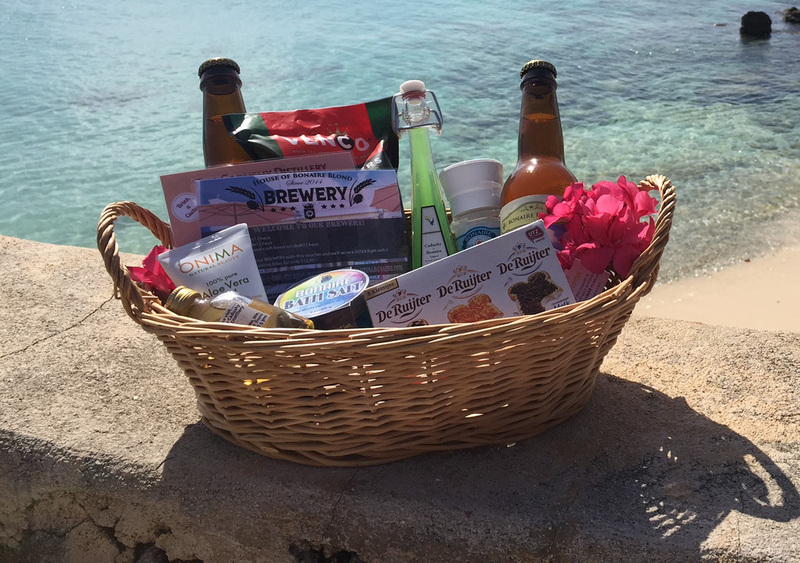 Receive a FREE basket full of typical Bonaire products, tours and great discounts! Book your Drive & Dive package now and you will receive a free basket full of typical Bonaire products, tours and great discounts with a total value of over US$ 150! The best way to discover Bonaire and her local products. Mention code 'DDDTreat' when you book your stay. The basket will offer you an adventurous tour on Bonaire! And when you are actually here and received your basket, we would like to challenge you! Share your adventurous or funny story coming from this basket on our Facebook page with pictures or video, and the best story (most shares and likes) can win a voucher of US$ 300 to be used for your next stay at Den Laman in 2018! Book now and travel between September 1 – November 4, 2017! Drive, Dive & Discover Package! Discover Bonaire below and above our beautiful waters. Book a Drive & Dive package and you get a Dutch Caribbean Welcome basket for free! The Dutch Caribbean Welcome basket is valued up to $150.00, including a discount on carrental of $65.00. 7 night accommodation: pay for 6 nights and get the 7th night free! Truck rental incl. tax, excl. insurance: receive $65 DISCOUNT! Free Dutch Caribbean Welcome Basket: A welcome basket filled with local products of Bonaire and Holland including local activities. Valid for Travel: August 19 – November 4, 2017. In the week of September 3 – 11 2017, the annual Bonaire Dance Festival is organized. A week-long you can enjoy hours of bootcamps, dance workshops and courses by professional teachers and performers in different styles such as SALSA, BACHATA and KIZOMBA. Or just visit one of the many dance parties. Dance the night away! Save $65 on car rental! For more information visit: www.bonairedancefestival.com. Lovely condo for a week! Den Laman is waterfront vacation rentals offering 15 fully air-conditioned studio, one and two bedroom apartments with every-other-day maid service. Take a look at our amazing apartment views and packages and decide which one is perfect for you and your family. Besides the apartments we have also a great package of activities like sea sports and beach activities.